Obelisk set on a square plinth and rectangular base. There is an extension at the front on which is a tablet. 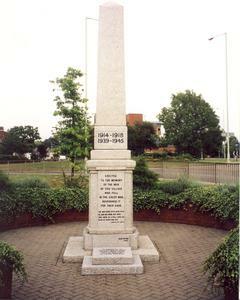 The dedication and names are on the sides of the plinth.